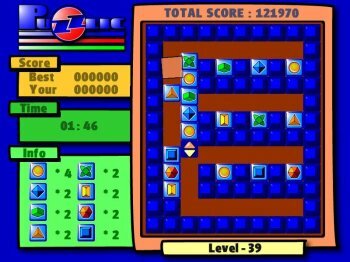 Puzzlic Advanced is a new generation of puzzle games, which differs from silly Tetris` and Lines Clones. Your task is to combine similar blocks and clean up all 150 game`s levels. With the help of Levels Editor you can create a lot of your own different levels. There is special Tips Service, which you can ask for advise of level`s walking through. Now, with the help of skins, you can choose the graphic style you like.